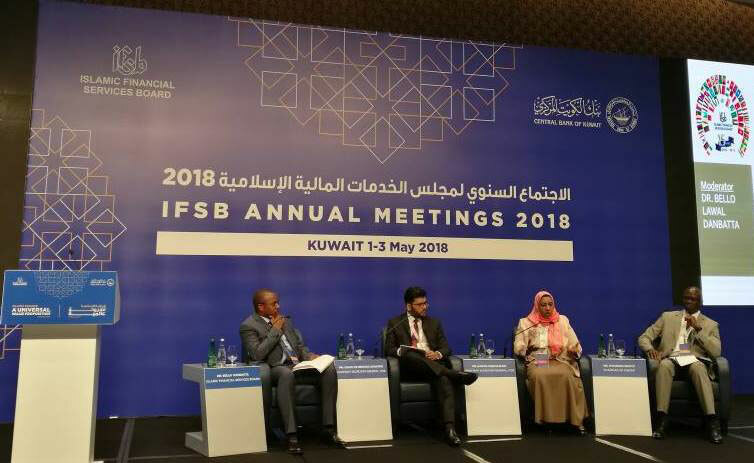 In conjunction with the IFSB Annual Meetings 2018 which was held in Kuwait City, Kuwait, the IFSB had organised a series of Side Events which took place from 1 – 2 May 2018, hosted by the Central Bank of Kuwait. The Annual Meeting started with 10th IFSB Public Lecture on Financial Policy and Stability on 1 May 2018. 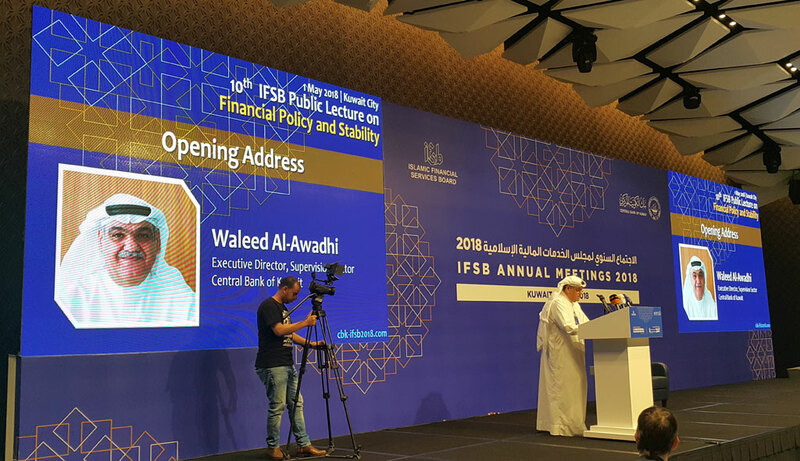 Mr. Waleed M. Al-Awadhi, Executive Director, Supervision Sector, Central Bank of Kuwait and Dr. Bello Lawal Danbatta, Secretary General of the IFSB delivered the opening and welcoming remarks respectively. The event saw two prominent speakers shared their views and discussions on the given topic. The first Lecture was “Financial Stability and Islamic Finance” delivered by Professor Dr. Monzer Kahf, Professor of Islamic Finance and Islamic Economics, Faculty of Islamic Studies, Hamad bin Khalifa University, Doha, Qatar. The second Lecture was on “Islamic Finance Policies: Implications on Industry Stakeholders” delivered by H.E. Emeritus Prof. Dr. Ishrat Husain, Chairman of Centre for Excellence in Islamic Finance (IBA-CEIF) and former Governor, State Bank of Pakistan. The Lecture was followed by the Members & Industry Engagement Session. The session commenced with the Welcoming Address by Mr. Waleed M. Al-Awadhi who shared the development in Islamic finance industry in Kuwait. Dr. Bello Lawal Danbatta in his presentation titled “Key Developments in the Global Islamic Finance Industry and the IFSB” shared an update of the industry and the ongoing work of the IFSB in supporting the industry’s stability and resilience. 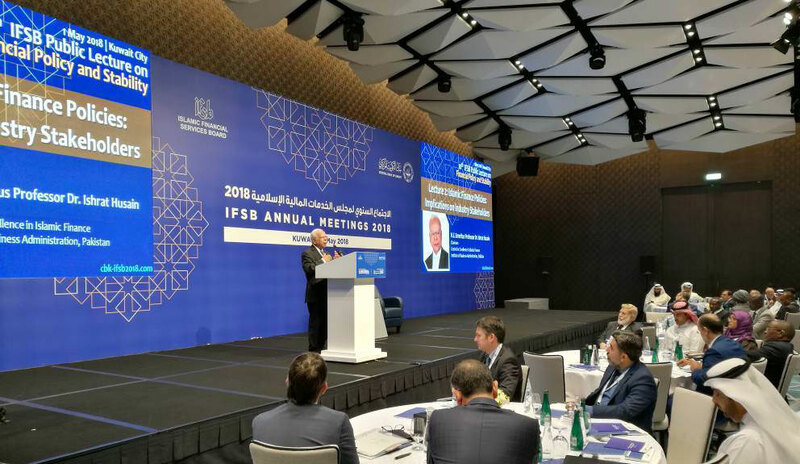 He also shared IFSB’s commitment to further enhance services to the existing members, by prioritising expectations from a recently conducted IFSB Members Expectations Survey. The session continued with a presentation by Mr. Mamadou Ndiaye, Chairman of Conseil Régional de l'Epargne Publique et des Marchés Financiers (CREPMF), West African Economic and Monetary Union (WAMU), on their experiences as the Capital Market Authority of the WAMU, and their initiative to promote Islamic capital market in the region and forward plan. An interactive panel discussion moderated by Dr. Bello Lawal Danbatta, and featuring Mr. Mamadou Ndiaye and Assistant Secretaries-General of the IFSB, Mr. Zahid ur Rehman Khokher and Dr. Nagwa Sheikh Eldin, followed. The panelists shared their perspectives in regard to standard-setting agenda, capacity building, implementation levels of the IFSB standards, technical assistance, and the bigger role to be played by the industry in the work and activities of the IFSB. The session ended with valuable questions and feedback by the IFSB members on the implementation of the IFSB standards which the secretariat answered and accepted as positive feedbacks for future improvements of the IFSB implementation strategies. Over 100 participants attended the Public Lecture and Members & Industry Engagement Session. 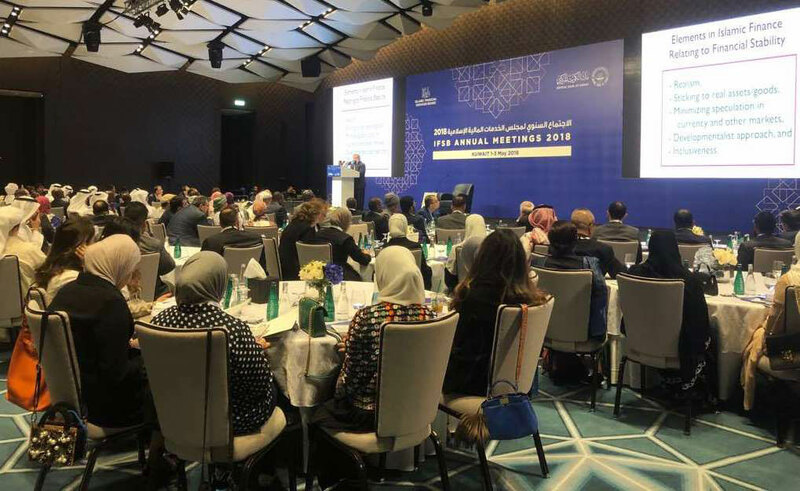 It was attended by heads and senior representatives of regulatory and supervisory authorities (RSAs) and financial institutions from over 20 countries, among the IFSB members and the Kuwait local financial community. The third Side event was the CBK-IFSB Conference on Islamic Finance, held on 2 May 2018. Themed “A Universal Proposition”, the Conference aimed to discuss the role that Islamic finance can play in government strategies to build a diversified and sustainable economy and to present a collective way forward for the Islamic finance industry to reach its potential. The Conference commenced with Plenary Session which saw the opening address delivered by the Representative of His Highness the Amir, H.E. Dr. Nayef Al-Hajraf, Minister of Finance, Kuwait followed by Dr. Bello Lawal Danbatta with his welcome address. The Keynote address was delivered by H.E. Dr. Mohammad Y. Al-Hashel, Governor, Central Bank Kuwait. 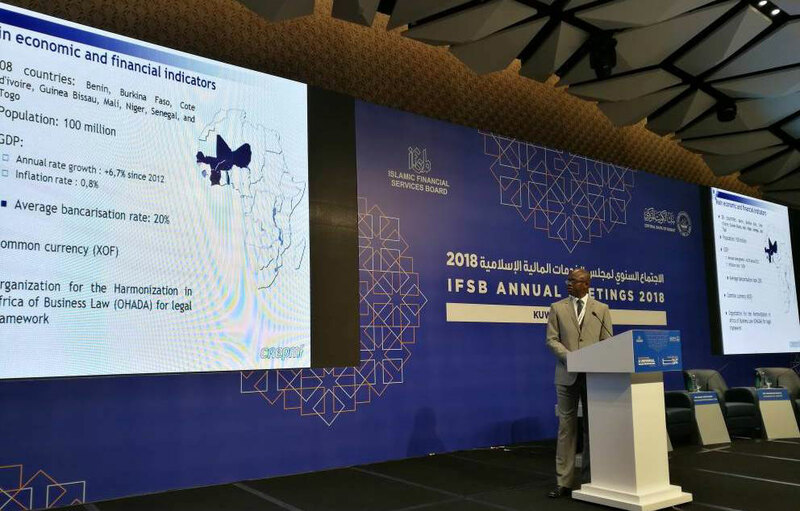 More than 500 delegates from 32 jurisdictions among the IFSB member and non-member organisations – representatives from regulatory bodies, market players, international organisations, legal firms as well as academia and other interested parties from the public attended the Conference.